Open everyday after 4p.m. CST ~ Staffed by trained youth volunteers. 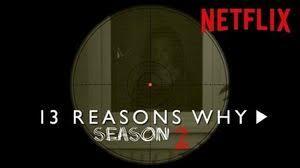 Netflix’s ’13 Reasons Why’ Season 2 will be released on Friday May 18, 2018. While the complete and specific story line and topic/issues have not been disclosed, it’s very likely that S2 will pick-up and carry-forward with many of the same topics/situations as S1. Based on 13RW-S1 and Dr. DeQuincy Lezine’s book ’13 Answers to the 13 Reasons Why’, these St. Louis area providers may be helpful connections for support.